I don’t just write beauty blogs, I read them too. 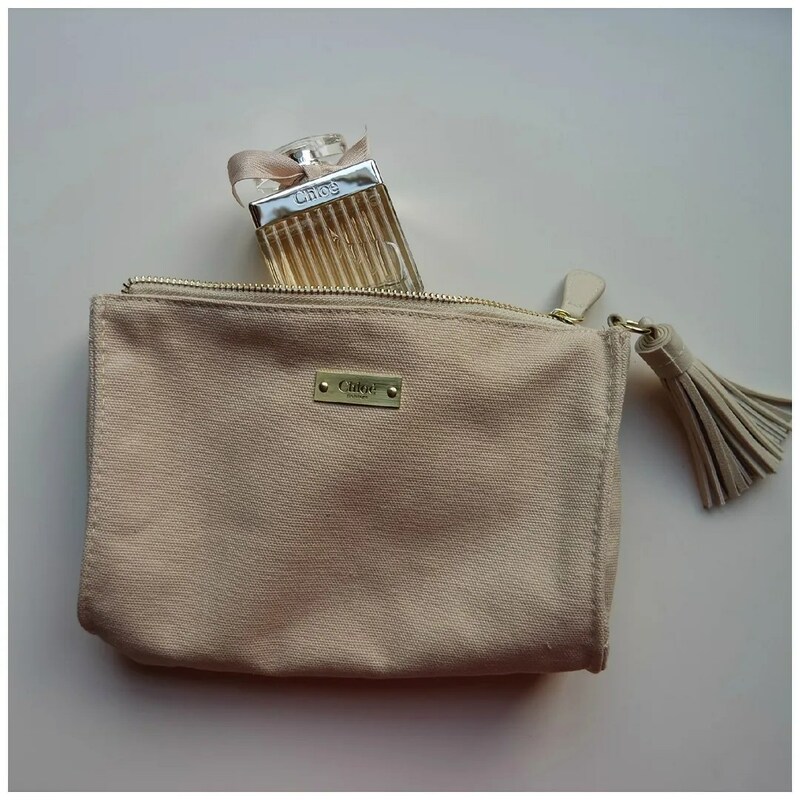 And one beautyblogger I have been following for years is Cynthia from Misslipgloss.nl. Ever since I became interested in beauty, I had been following her and I have been quite active on her website, leaving comments almost every single day. Where some people read newspapers before heading out the door in the morning, I read beauty blogs. So when Cynthia announced wanted to take some readers out for a brunch to celebrate her 5000th blog post, I signed up at once. While I was on vacation I got the email and yesterday was brunch day. I will write a full blog post about the day once I have the pictures (which I forgot to take myself, blogging fail right there! ), but for now I thought I’d show you the goody bag. To my and I’m sure all the other ladies’ surprises who attended, we were spoilt rotten. We knew there would be a goody bag, but I don’t think any of us had expected it to be this massive and/ or fantastic. We had been warned though. A day before the brunch Cynthia sent us and e-mail asking us to bring a sturdy bag so we could carry everything home without bags breaking on us. Here’s why it was so heavy. 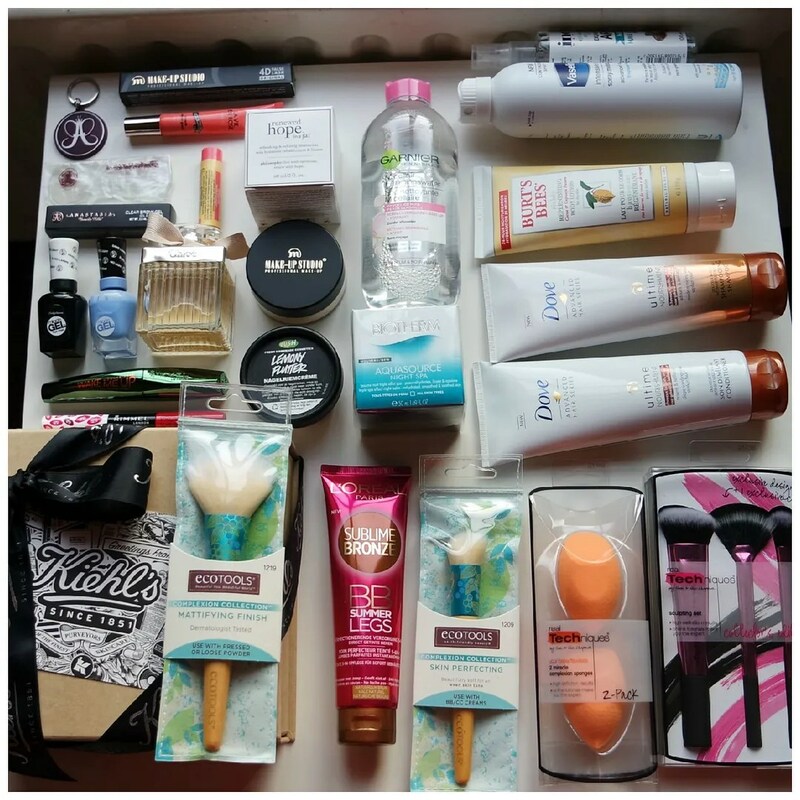 First up was a small separate bag that contained this box of Kiehl’s minis and two full sized products. 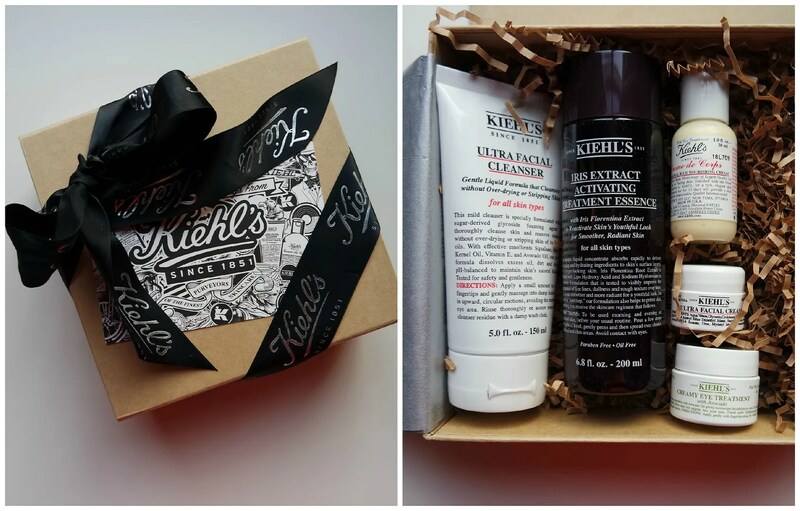 I have been wanted to try some Kiehl’s for so long, but I just never knew where to start. I already got my hands on their midnight recovery serum through a Harper’s Bazaar subscription, but now I can try some more of their line and the card at the top had a message saying I can come by their store and get a free skin analysis too. I’m especially curious about the avocado eye cream. 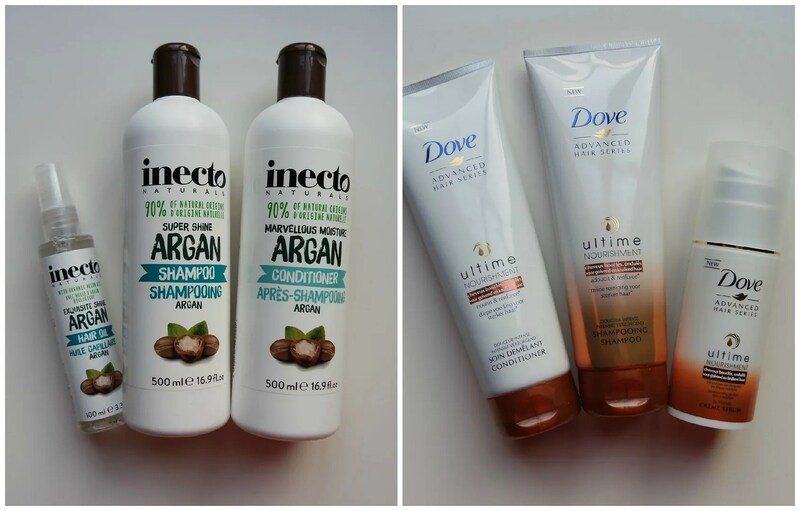 One reason the bag was so heavy were these hair products. There were two full lines of hair care in the bag with a shampoo, conditioner and serum. And the best part is that both are formulas for dry hair, which is what I have. So these will come in very handy. I was in the store just the other day trying to find a new shampoo to try. Now I have two! Then there were some body care products. Dry shampoo is a product that is always handy to have a back up off. I have a mini of the Andrelon one and I really liked it, so that will sure be put to good use. 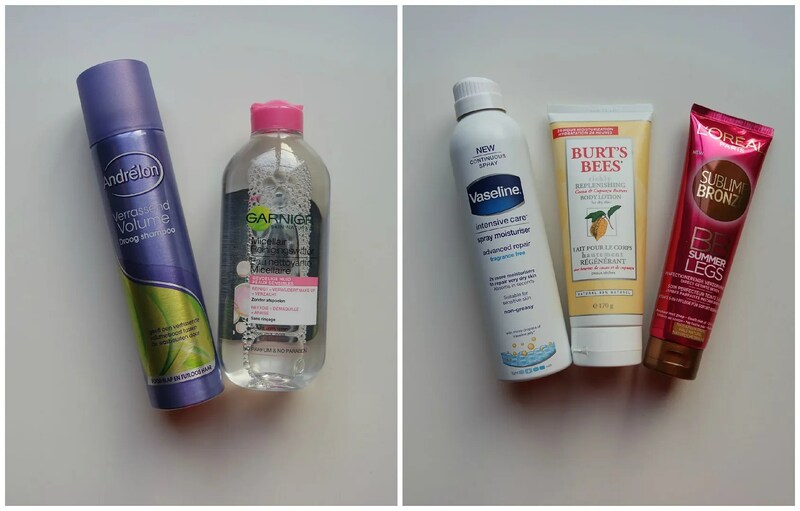 The Micellar water is one of my favorites and I always keep a few bottles on hand, ready to go. The body lotions and self tanners all look intriguing as well. I have never tried the spray on body lotions yet and I have heard great things about it. The body lotion by Burt’s Bees sound delicious and an instant self tanner for legs is something I have to try as my legs never ever get tan. Also face and nail care weren’t skipped in this goody bag. A day cream and a night cream were present and again Philosophy’s Renewed Hope in a Jar is a cult product I’ve been meaning to try but never really did yet. The same goes for the Sally Hansen Gel nails system. I have been eyeing these up so many times but never caved as you need that special top coat which makes your initial purchase a lot more expensive. But now that I have that top coat I can get a few of the other colors that I really like and try out some longer wearing nail polish. On to make up products. We all received a clear brow gel by Anastasia as well as a banana loose powder and a mascara by Make Up Studio. Especially the banana powder intrigues me. It does look quite dark in the jar though so we’ll see whether it’s a match. On to some lip products and one more mascara. 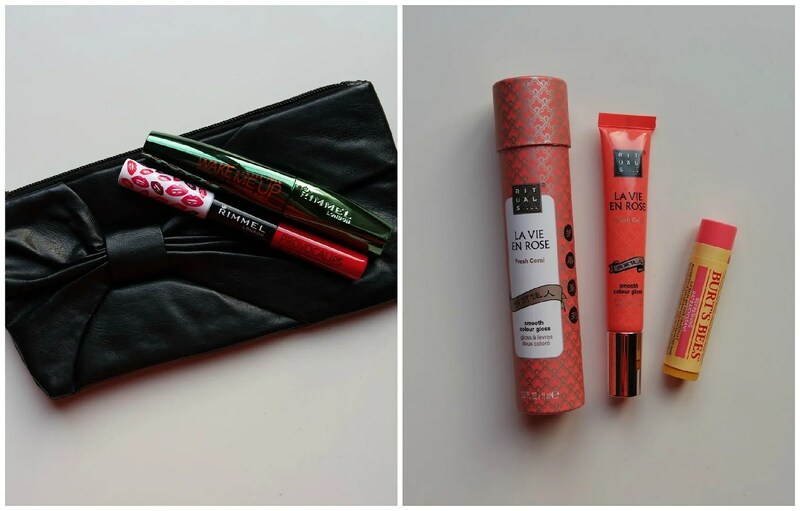 We received some Rimmel products in a little clutch bag featuring a Provocalips lipstick and a mascara. I already own one of the Provocalips lipsticks, but in a different shade and this is in a lovely bright red which is one of my favorite lipstick shades. Then there was a Rituals’ gloss and a lip balm by Burt’s Bees. The lip balm has already found its way into my everyday make up bag. I love Burt’s Bees lip balm! Make up tools were also not left behind. There were some Real Techniques brushes which is one of my favorite brush brands so I know I’ll like these. The sculpting set contains two brushes I still wanted to try as well: the setting brush and the sculpting brush. I bought my first Ecotools brushes last May and have been loving them, so I thought I’d try some of their face brushes next. Guess what was in the goody bag? 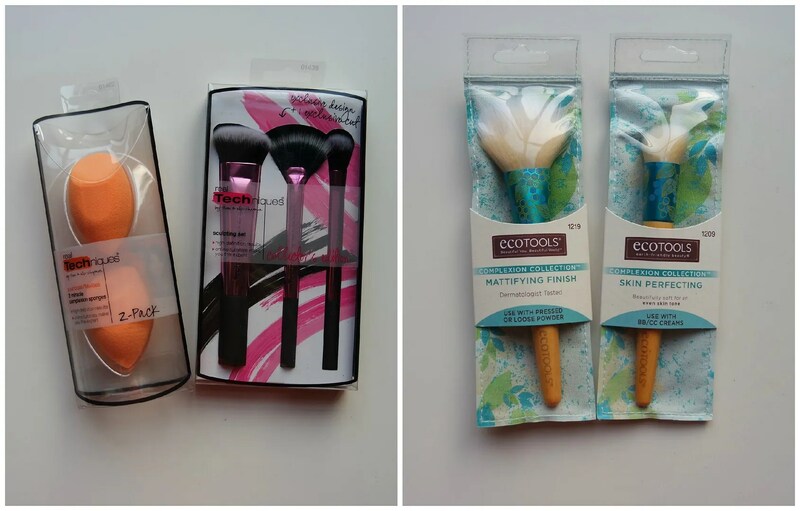 Yep, Ecotools face brushes. And last, but certainly not least (I’ve saved the best for last) is this 75 ml Chloé perfume. This is one of my favorite perfumes. I am quite picky when it comes to perfume, but this is a scent of which I own a small 30 ml bottle. I purchased it some years ago and especially love wearing it to more special occasions. I’ve always used it sparingly because it is quite pricey, but now that I have plenty to come by I’ll feel more comfortable using it more often. Thanks goes out to Cynthia who was kind enough to select me for the brunch. Thanks also goes out to the lovely ladies I met yesterday. Thanks for everything and this amazing goody bag. Hope to see you all very soon! We’ll get pictures from a real photographer and the story will be up on the other girl’s blog I’m sure as well. So I have to wait until then before I can spill the beans. wauuw wat veel! lucky you! 🙂 mooi dat het zo leuk was. Ja het was heel gezellig. Wel grappig om Cynthia na jaren volgen in het echt te zien en te spreken. Ja het was super leuk! En die goodie bag was amazeballs. WoW just wow!! Wat een geweldige goodie bag zeg!!! En zo te lezen was het ook een hele leuke middag, ben benieuwd naar je artikel erover. Die komt zodra ik wat officiële foto’s heb ontvangen. 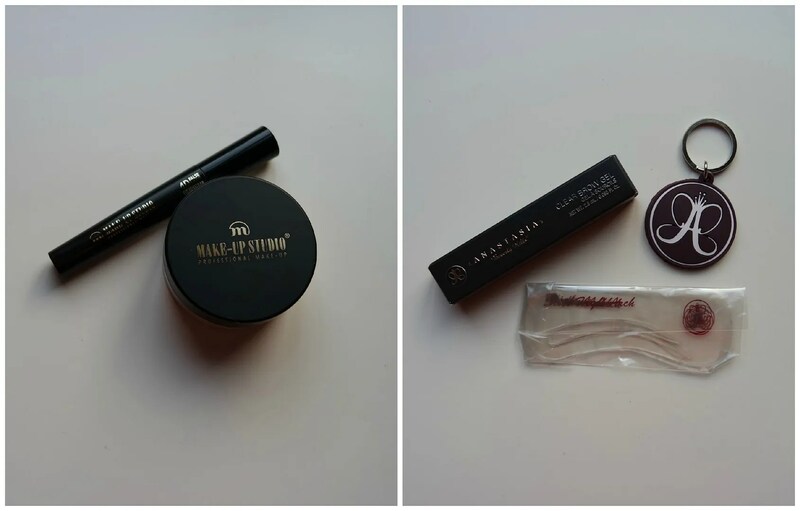 Ben erg benieuwd naar de uitgebreide blog post en misschien een revieuw van een van de producten uit de goodiebag b.v. de Banana powder van Make Up Studio, ben namelijk benieuwd hoe deze uitpakt op een blank huidje als die van jou. Ik blijf je volgen …..
Hey Nancy! Wat leuk dat je me nu volgt. Het banana powder ligt klaar om later deze week uitgebreid op de foto te gaan. 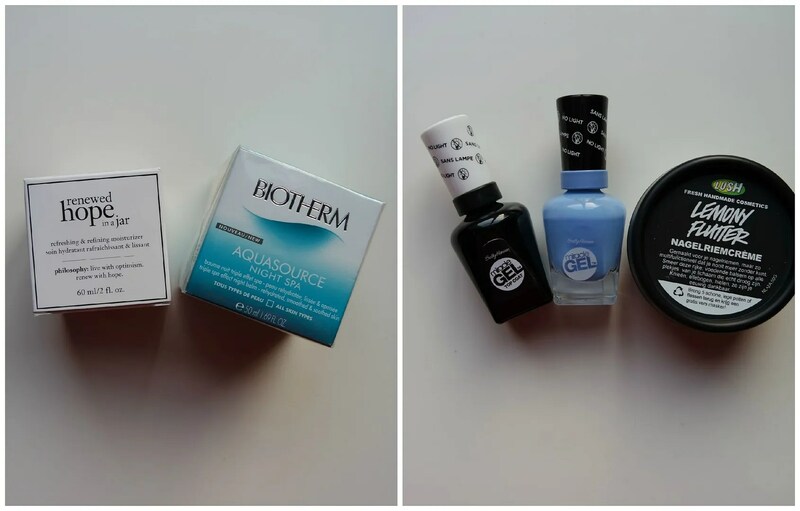 Het probleem is alleen dat ik momenteel zoveel nieuwe beauty producten heb om te reviewen dat ik niet weet waar ik moet beginnen! Oh dat gaat wel lukken! En er komen zeker ook reviews van online.